Looks like audiences “Hung Up” on Madonna and her husband. The 2,000 plus crowd who had patiently gathered at Leicester Square in London for the premier of film flop “Revolver” greeted Madonna and husband Guy Ritchie with a chorus of boos when they did not stop to sign autographs (customary at Leicester). Many critics and audiences panned said film. Critics said the obscure, nonsensical Kabbalah references that people just did not get, did the film in. Though I have not seen the movie, but I do plan to for legal reasons, I have to concur, the Kabbalah Center and their teachings make no sense. They are so far gone it's not funny. They are stark, raving mad and brainwashed beyond human comprehension. They think their stuff is so deep when it's not. Never mind everybody else is going "huh?" Note to nutters: Poignancy and profundity only works if people get it! If you’re the only one who thinks something is profound - it isn’t! It’s been a rough month for the Materialess one who was told she “is too old” to play Evita in the stage adaptation headed for London and “too old” for the raunchy video she reportedly wanted David Chapelle to make of her - for which she reportedly slapped said director across the face. Hey, don’t shoot the messenger. Some people just don’t get the message: learn to age gracefully! There is nothing wrong with getting older. Everyone is aging. However, making a fool of one’s self with lack of comportment is quite another story. But she did him a favor. It was better to get slapped in the face over a copyright infringing video she was gearing up to make than getting slapped with a lawsuit. 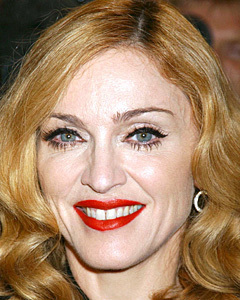 Then in another slap in the face, when asked on French TV what Madonna’s real name is, Madonna’s husband, much like "Revolver" audiences, drew a blank. Aww, how touching. You know he got touched with a frying pan upside the head when he got home. Anna Nicole Smith was not included in her late husband's will, billionaire J Howard Marshall. Now she's fighting his son for a share of the $474,000,000 he left behind that said son received sole inheritance of. Now she's taking her fight to the Supreme Court. While I do believe the money should rightfully go to his son, the Supreme Court proceedings should prove very entertaining for viewers at home -cough- this ought to be funny. Coverage, or should I say lack thereof (thanks to Anna's gear) should be one for the history books. As for substantive content, the TV footage on that one is gonna make "Legally Blonde" look like "Saving Private Ryan." Personally, I don’t get what all the fuss is about. If you want the money why don’t you just marry his son. Problem solved. I read an interesting article in a London paper this month about singer Julian Lennon, son of the late Beatle, John Lennon. It was pretty sad. He is still traumatized and understandably so, by the conflicts in his relationship with his late dad. It’s amazing how these conflicts hurt and define people, as it’s that fundamental relationship in your life you come into this world with - parent/child. Must be a tough burden to bear being the son of someone who was well acclaimed. But at the end of the day you have to be your own person. I was always of the belief that in such issues the child trumps the wife. The man is the spitting image of his dad, is his first born, has the same voice - but due to his menial inheritance is having money problems when his dad's image and music are raking in millions a year in a fortune that has to be worth at least $400,000,000. Things like that ought not to be. One would think you are the son of a Beatle (no, not the animal, the group), therefore you're set for life. Apparently not. Why do women wear rollers in public? I can’t even wear them to bed at night. Therefore, why do some women, well, this is Miami, so, why do some women and men wear rollers out in public? That’s taking the just-from-the-salon-look a little too far. I’m joking. Soccer player Diego Maradona's self-described "Hand of God" goal was more like the hand of Maradona. What is unbelievable is that people have attributed this goal to God for years. It must be noted, God wouldn't cheat. Having written that, He forgives people who do. You gotta give the Brits points for their sense of humor. 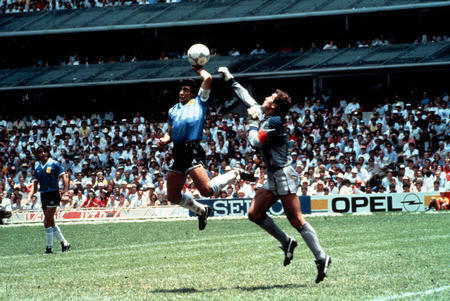 When Maradona called the goal "The Hand of God" the British press called it "The Hand of the Devil" (source Wikipedia). Recently, racked with guilt, Maradona finally admitted what many knew in that, "It was the hand of Maradona" that tipped the ball in. I want to end this segment on a profound note to sum up Maradona's admission, to borrow from my godbrother, "doh!" ENTERTAINMENT: Is Hollywood Out Of Touch? Are Celebrities out of touch. I think so. Some are. In Hollywood it is easy to lose your grip on reality. It's not the real world. I don't blame certain celebrities for buying homes in other parts of the country to give their kids a normal life. I remember an article featuring a singer who said she left Hollywood and moved to the South because she didn't want her kids to be influenced by Hollywood. That's understandable. My mom was watching a VH-1 Behind The Music episode on Lionel and Nicole Ritchie this week. I heard and saw a bit of it while I was working. The show openly talked about the fact that Nicole developed a drug habit at age 13. Now I'm not putting her down, as one of my relatives has struggled with drugs, but watching the show, all I kept thinking about was how Hollywood had influenced her and countless others who've ended up in the same predicament. She is clearly a smart, talented girl (she's a musician, as is her dad), but that environment in Hollywood can be so dangerous and destructive. I understand that entertainers live there because that's where most of the film work is located (it's easier for musicians to live anywhere in the country, as opposed to actors that film far more frequently than singers, who put out albums every year or two). However, it must be hard raising kids in Hollywood. Hollywood, once again is so out of touch. To grow up in that world has to be disconcerting. Hollywood is very liberal, but many people in the country and in the world aren't. Hollywood isn't even 1% of the world's population. Many people are old fashioned and support the things that embody the traditional beliefs they hold dear. But Hollywood just doesn't seem to see that. Now more than ever the programming coming out of Hollywood is so out of touch with the real world. The entertainment industry provides your choices in what you can buy in entertainment. They set the trends and the standards in the mainstream and hope people follow. Sometimes they hit and sometimes they miss...but how did the industry get so way off the mark. Really, have you taken a good look at the new television season's line up. Sometimes critics are right and sometimes they are wrong in their assessment of music, film and television. Sometimes it's hard to believe that someone gets paid for giving their opinion, but they do (no matter how much their opinion stinks). It reminds me of an amusing story I heard on the Worship Network last year (www.worship.net). It was about a sculptor who was so good other sculptors used his works as a reference point, because they believed they would avoid criticism if they did (uh, did they have copyright infringement lawsuits back then). One day, to make a point, the sculptor decided to make two statues. For the first one, he took everyone's suggestions and criticisms and made the statue based on that. The second one he made based on what he thought was good. When it came time for the unveiling, the audience hated the first sculpture and loved the second one. He told them, the first one was made using all your criticisms, the second one was made based on what I thought was right. It was a great story. There's a lot of truth in it. It rang true with me because I am a person who doesn't care what others think when it comes to my work. I like what I like and that's what I'm gonna do. I am of the belief that as an artist if you follow critics, they'll lead you to a dead end. It shouldn't even be called journalism. What they do is something else. Sometimes bordering on sub-human. How does one decide to become a tabloid journalist, anyway. Do they get high one day and the idea comes to them...but sticks when sobriety returns. Certainly they didn't grow up saying I want to be a tabloid journalist when I get older. Tell most you write for a tabloid and they'll give you that look. Why not be a writer and work for respectable publications. Then you can vie for awards like a Pulitzer. Certainly the people who grew up wanting to be writers never grew up thinking they would compromise their journalistic integrity in such a manner. Tabloids cause so many people so much pain. They make a living off of other people's suffering. Then there are the beleaguered publicists who spend their time correcting stories someone else invented. What satisfaction could there be in stalking a celebrity and or being a celebrity’s mouthpiece/lackey like some tabloid journos do. Your work will hardly be remembered. The words credibility and tabloid don't go together and the public knows that. Tabloids taint people. They harass people. They stalk people. They bug people's relatives for stories. What I never understood is why some people just sit there and take it. There are boundaries these tabloids should not cross and when they do they need to be sued within an inch of financial collapse. There is such a thing as going too far. Ah, what some will do for it. They'll make up fake articles based on scripts they'd read that they weren't supposed to. They'll invent incidents from unrelated items. They'll call papers and tell them where they'll be at a certain time for that perfect photo-op. I think the concept of publicity is a bad one. It's self-serving and self-demeaning at the same time. Fakeness and self-promotion all rolled in one. I think a person's talent should naturally inspire public praise. However, with huge chunks of the media now owned by companies like Warner Bros, who control coverage and what gets to you the public, it's no wonder some celebrities are resorting to publicity stunts. I've always felt the news should be natural. Not articles that look like pre-arranged PR pieces. Who wants to read that. Those are absolutely boring. Many articles are over-hyped. If you have to use hype to push what you're selling, it's not worth buying, now is it. The word tragedies, even has the word die in it. People sometimes die in senselessly tragedies. I remember a story on the news about a teenager that drank himself to death in the space of two days. He consumed so much alcohol that it shut his system down. Some who drink don’t realize that can happen and that it has happened to many people. Then there are people who leave places drunk, get in their cars and cause fatal accidents. Accidents do happen, but when you get in a car drunk, that’s another story. That’s just irresponsible. If you are going to do something harmful to your health, at least have the number of a taxi or car service, so you don’t end up causing pain to yourself and others via a fatal car accident. Then there are people who overdose on drugs. Searching for that new high destroys them. These things are all a senseless waste of life that can be prevented. But people who end up dying in the above mentioned ways never saw it like that. They didn't take it seriously. Of course they'd like to have their lives back, but life doesn't work that way. However, you can learn from their mistakes. A couple weeks ago a man shot and killed his ex-girlfriend then fatally turned the gun on himself. While I did not witness the shooting, I certainly heard it as I was in the store when it happened. It’s a terrible thing to know that you were present while someone’s life was slipping away from them and under such horrible circumstances. 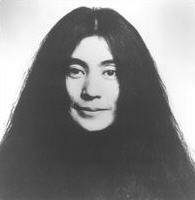 She was someone’s child. So was he. Some people don’t deal with rejection well after the end of a relationship. They feel as though they own you when they don’t. Not a good situation to be in. The young lady who was killed in London by her ex-boyfriend realized there was a problem and reported it to the authorities. However, some women think it's cool when they have a stalker. Some men think it's cool as well. They brag to their friends (well, some of them are stalkers themselves, but that's another story). As I was saying...some women think it's cool when they have a stalker and it's not. They think it's flattering. Dude wants to stab you and you think it's cool! We're gonna see you on the news with people talking about you in the past tense and you think it's cool! Some think it’s flattering when people are crazy about them, but you need to wake up and smell the coffee because this person could literally be crazy about you - as in crazy! Some people take it too lightly when others exhibit signs that are harbingers of worse conduct. They feel it’s just a phase, when with some it's not. No one deserves to lose their life because another wouldn't accept no for an answer. Why do people opposed change. I'll concede that sometimes change is good and sometimes it's bad, but what about what is gained in the process. People oppose building developments, expansion, technology and science, sometimes due to complacency and fear of the unknown. While other times people just like things exactly as they are and see no need for change. Some don't equate change with progress. They equate it with regression. I guess at the end of the day people like familiarity and security. But sometimes it can hold you back. A leap of faith isn't such a bad thing (no, not that stupid movie). Taking a chance in doing something positive and ethical (not reckless and immoral). That's how you learn to grow. That's how you progress. If you don't have faith, you really don't have anything.